Ten years ago I read about Our Lady’s request at Fatima that we say a daily rosary. At first I flinched at the notion of saying one every day. I thought it impossible; I’d never have the time, the concentration or the patience to meditate on five decades each day. But it got easier. Now, even if I have worked for 12 hours, and struggle to fit in the five decades, I still manage it, even if I forfeit sleep or a social occasion or have to eat a late dinner and pray the rosary at the same time. But I’d never measure up to Pope Francis. Our Pope recites 15 decades of the Rosary every day, three times that which Our Lady asked for at Fatima. Two days ago he tweeted that the month of May is dedicated to Our Lady and it is “fitting” to start the habit of a daily rosary now. The rosary is a time-honoured prayer, but difficult to say, but by promoting it, Pope Francis is giving people the means to win graces that will enable them overcome their problems. One of the 15 promises given those who recite the rosary is that “they will never be conquered by misfortune”. I often tell my friends of mine to say a rosary when they are in-between jobs, stumped with a huge bill or they have been reminded of their student debt. From that day forth, he said 15 decades of the Rosary. In 1986, the then Padre Bergoglio finished as rector in the seminary, and was sent to Germany for six months. At the time, to borrow modern parlance, Fr Bergoglio was not in a good place – the Dirty War had exacted a heavy toll on his nerves and he worried that the Jesuit community would never recover from the many mutinies that had taken place in their ranks. But it was here in Germany that he would find solace when praying before the painting of Our Lady, Undoer of Knots, in Augsburg. He carried the devotion from Germany back home to Argentina. A copy of the original German painting was done in an ordinary Argentinean church, San José del Telar. As Archbishop of Buenos Aires, he would stroll into this modest church and pray before the painting. With help from St Bridget Council 5476 Knights of Columbus, Commonwealth Catholic Charities Food Drive donated 78 bags of groceries in April 2014. The CCC food pantry which helped to feed 824 of our needy neighbors and friends. The number of needy and qualifying people coming to the pantry has been steadily increasing over the past several months. Unfortunately, the donations have not kept up with the demand. Therefore, your participation is critical! Our next CCC food drive with be the weekend of June 8th. 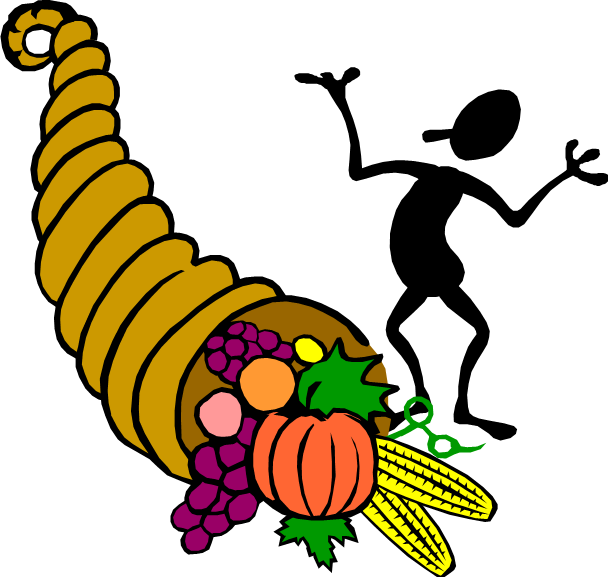 The Knights of Columbus will be handing out empty grocery bags after all masses. Please take a bag home and return it the next weekend. Please do not pass our volunteers by… a few cans of soup, or a box of cereal can help to keep the shelves from being empty. The 2015 Catholic Men’s Conference is scheduled for Saturday, January 10, 2015 at the Greater Richmond Convention Center. As a past participant you are the first to receive notice of the date. Save the date and pass it along to friends. This year we are fortunate to welcome Greg Willits as our keynote speaker. You can learn more about him at http://gregwillits.com. be willing to give announcements after Mass regarding the conference. If you had a good experience at a past conference and would like to see more men attend, then SIGN UP HERE and someone will reach out to you with further details. We want to be sure more men hear about the conference early on so they can make a decision to attend. Feel free to reach out with any questions you might have. More information is forthcoming. Leslie Blackwell on EWTN Tonight! St. Bridget’s own Leslie Blackwell will be on The Journey Home @ 8:00 pm on EWTN tonight. Spread the word. Catholic revert Leslie Blackwell shares with Marcus why she returned to the Church. The Archdiocese’s Office of New Evangelization, with support from the Knights of Columbus, held a special vigil to honor the life and pontificate of St. John Paul II at the Cathedral of Our Lady of the Angels on April 26, the eve of his canonization in Rome. The vigil began with a rosary and testimonials from individuals whose lives have been changed by Pope John Paul II and included musical tributes by noted Catholic artists such as Danielle Rose, Miriam Solis and Tony Melendez, who played for the pope during his visit to Los Angeles in 1987. They were accompanied by a choir of young adult musicians from throughout the Archdiocese led by Music Director John Flaherty. The rosary was followed by an hour of Eucharistic adoration with music by Love Resonate. In addition, a new documentary film by Lannette Turicchi on the life of St. John Paul II, “A Prophet of Our Time,” was premiered on the Cathedral Plaza. An honor guard from the Knights of Columbus led the opening procession of Angelinos who had met the pope, and young adults who had attended World Youth Day, an event instituted by Pope John Paul II. “God’s holy faithful people” crowded Rome in honor of the two new pope-saints. “A person who prayed the way he did could not not be a saint.” He was “deeply bound to God.” He “didn’t move, he didn’t flinch” when in prayer. “Praying was like breathing for him,” Navarro-Valls adds. He recalls how John Paul II would step into his chapel before and after dinner. One particular evening, he got so immersed in prayer that his typical two-minute visit became a much longer one, for which he later apologized to Navarro-Valls, who was in the chapel with him. As Navarro-Valls puts it: “He had taken off. He was talking to someone else.” Any picture of him praying, Navarro-Valls said, “was the most eloquent expression of his inner soul.” And that smile was revelatory as well, sharing the joy and peace of a man who could bring himself to forgive the man who shot him . . . I cannot believe we are already getting into May this week! Looking ahead to June, we are confirming the next blood drive for Sunday June 1st. I should have the posters by next week. The second weekend of the month is approaching, which means CCC food bag distribution. Please take a few minutes after the Mass you attend to hand out the food bags. Again, this is something family members can help with. I will have the bags placed at both doors Saturday. If you need extra they are in the closet near the kindergarten classroom. Also, whoever is handing out the bags after the 5 pm Mass on Sunday, please return any unused bags to that closet near the kindergarten room. Thank you in advance for your help. St. Bridget is a high contributor, last month we donated approximately 155 bags of food to Catholic Charities. Without the right to life from birth till natural death, all other rights are meaningless. This article is adapted from a speech delivered by George Weigel at the Rome Life Forum, an international pro-life conference, on May 3. Extensive Catholic use of the language of “human rights” begins with Pope St. John XXIII’s 1963 encyclical, Pacem in Terris, but it was Pope St. John Paul II (happily canonized with John XXIII on April 27) who deployed human-rights language to great effect in the two and a half decades of his pontificate. His passionate defense of the rights of his fellow Poles helped ignite the revolution of conscience that gave birth to the Solidarity revolution — and that eventually led to the collapse of European Communism. His sophisticated use of human-rights language and his development of the classic themes of Catholic social doctrine helped teach the Church in Latin America and the Philippines a better approach to challenging authoritarian governments than the language of liberation theology, distorted as it often was by Marxist categories of thought. And it was John Paul II who put the defense and promotion of human rights at the center of the Church’s social doctrine, offering the world a powerful vision of the free and virtuous society of the 21st century in the 1991 encyclical Centesimus Annus. In all of this, John Paul II understood, and taught, that religious freedom is the first of human rights in organized political society. 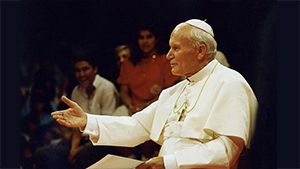 For as Vatican II taught and John Paul II emphasized in his first address to the United Nations in 1979, religious freedom, affirmed in law and cherished in the consciences of a people, creates essential limits to the power of the state and sets boundaries to the capacity of the state to intrude into the convictions and conscientious practices of individuals, families, and communities. In defending and promoting religious freedom, in itself and for its contributions to a just society, the Church honors what is Caesar’s while making it clear that there are things that are not Caesar’s: areas of human life into which Caesar may not reach without becoming a tyrant. As my colleagues and I wrote in establishing the journal First Things more than 20 years ago, the first thing to be said about politics is that politics is not the “first thing” in our lives. To suggest that politics is “first” is to set out on the path to totalitarianism, a temptation to which political modernity seems uniquely susceptible. Religious freedom, cherished in culture and protected in law, is thus a barrier against the totalitarian temptation. That is why religious freedom is, or ought to be, of concern to all citizens, whether or not they have been blessed with the gift of faith. And so in any proper ordering of rights in the political community, religious freedom will come first. But just as the political community — the state — does not exhaust the meaning of “human community,” civil and political rights are not the only “human rights.” Thus the first “human right” is the right to life from conception until natural death — the right without which civil and political rights, and indeed all other forms of “rights,” are meaningless. If the state effectively asserts the power to declare some members of the human community — the unborn, for example — outside the circle of common concern and legal protection, then no one is safe, for no one has any “rights” the state cannot abrogate. The perverse German notion ofLebens unwertesleben — “life unworthy of life” — may have had a higher intellectual pedigree than the crudely materialistic Communist notion of “class enemies” to be liquidated; after all, the German authors of the influential 1920 book The Permit to Destroy Life Not Worth Living were an eminent legal scholar (Karl Binding) and an equally eminent physician (Alfred Hoche), not a maniac like Stalin. But the result of this denial of the first of human rights, the right to life, was the same under both German National Socialism and Marxism-Leninism: The result was genocide. It is something of a mystery why this lesson from the lethal experience of the 20th-century totalitarianisms has been lost, as Western countries have debated their laws on abortion and euthanasia (a debate that now includes the possibility of euthanizing children). Perhaps there is a reticence about invoking the Nazi precedent for anything; there is certainly a reticence in certain political circles about acknowledging the genocidal tendencies that were, as the Polish philosopher Leszek Kołakowski insisted, built into Communism. Nonetheless, it must be said, and it must be said without hesitation: The desperately false idea that some human lives are worth less than others, and thus have less claim on cultural and legal protection than others, is at the root of the abortion license in our countries and is now, at the other end of the life spectrum, infecting public policy toward the elderly. Those who imagine that they are providing merely a “choice” in these matters will soon discover, as my friend and colleague Father Richard John Neuhaus pointed out, that what is permitted is soon required, when the matter at hand is a breach of some traditional moral truth. This is what happens too often today with unborn children diagnosed with Down’s syndrome or some other genetic malady. This is what happens in states that offer the “choice” of euthanasia: What is described as a “choice” soon becomes a requirement. The same, we should be aware, will likely be the case with the radically handicapped who are not aborted.